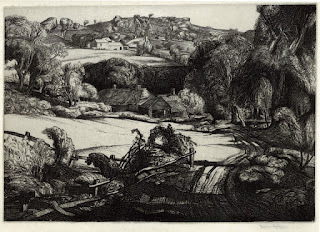 My interest in Bouverie-Hoyton’s etchings grew from my study of Samuel Palmer and the young artists studying at Goldsmiths College who became interested in his work. 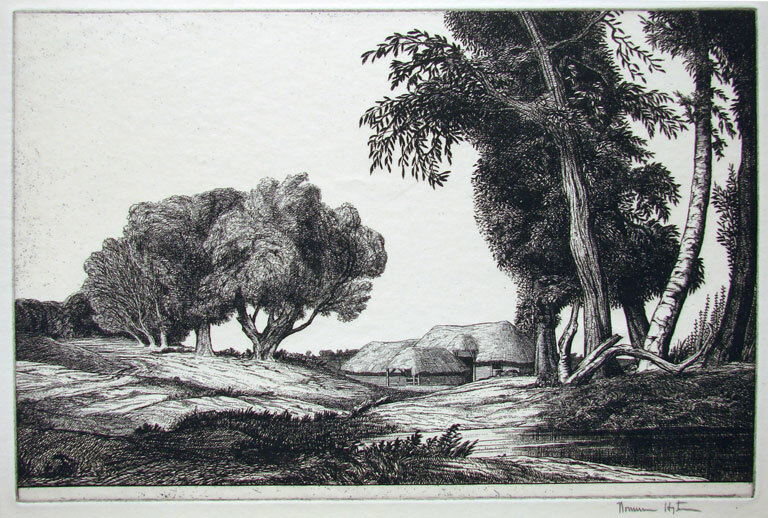 Edward Bouverie- Hoyton was in the same etching class as Paul Drury and Graham Sutherland. They remained friends throughout their lives. His early Goldsmith’s work came under the spell of Palmer but he was also influenced by the etchings of artists such as John Crome and John Sell Cotman of the Norwich School who were masters of the English watercolour medium. 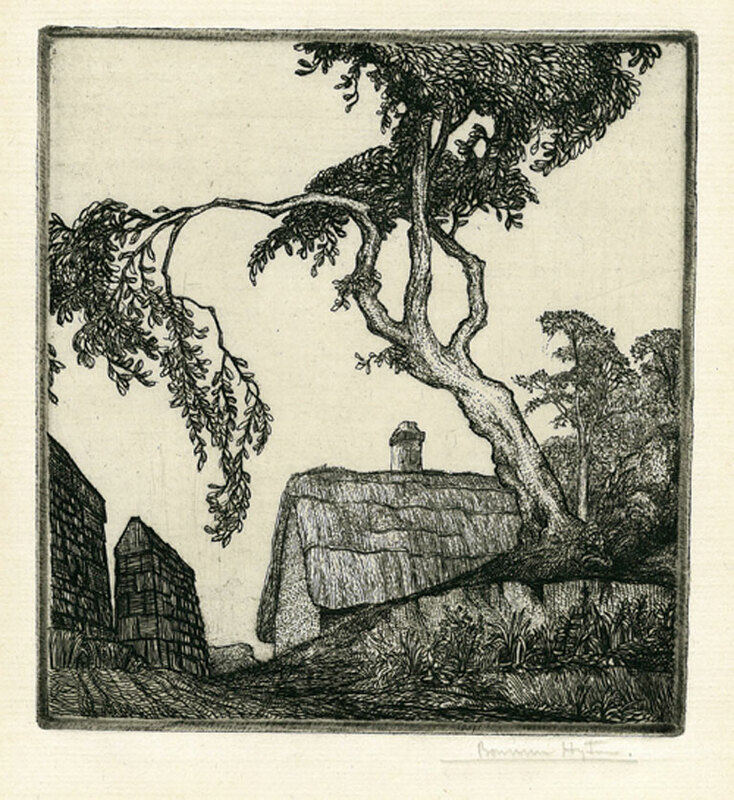 Unlike the early etchings of Sutherland and Drury, Bouverie Hoyton’s etched landscapes often leave large areas of sky as open areas of space. 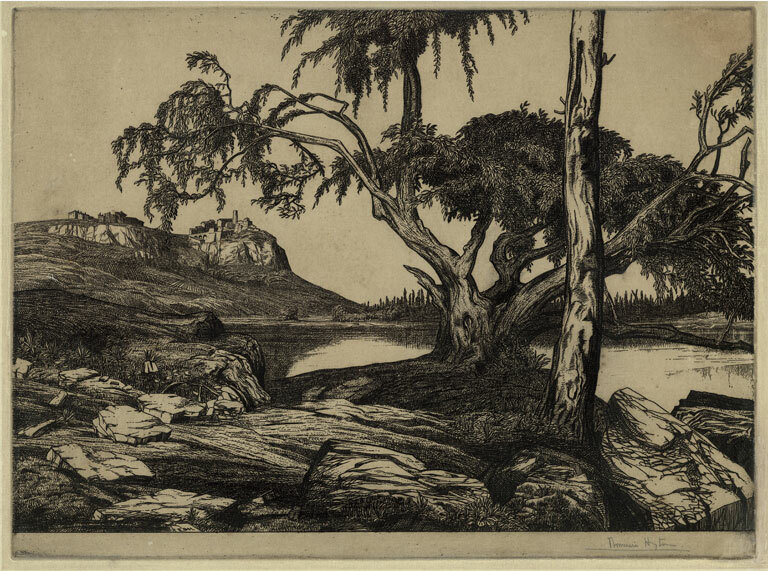 This treatment of the sky gives many of the landscapes a cut out or stage like quality and creates a sense of spatial ambiguity in the etchings. 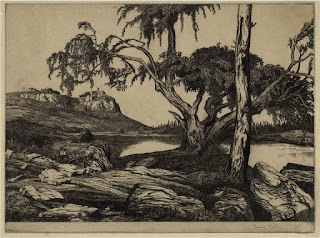 In the etching Morganhayes (1927), the carefully placed decorative tree breaks up the open sky areas of the etching and in doing so flattens the image. 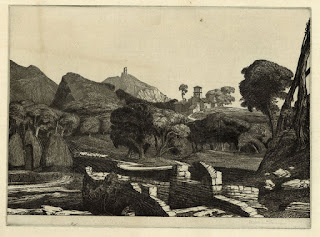 Bouverie-Hoyton is not so interested in producing etched lanscapes where the size and thickness of marks produce a traditional sense of distant space. 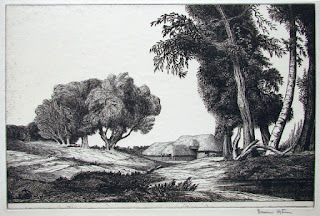 In Plovers Barrow the foreground areas are drawn in minute detail and the low view-point allows the middle ground forms to end where the blank expanse of sky begins. 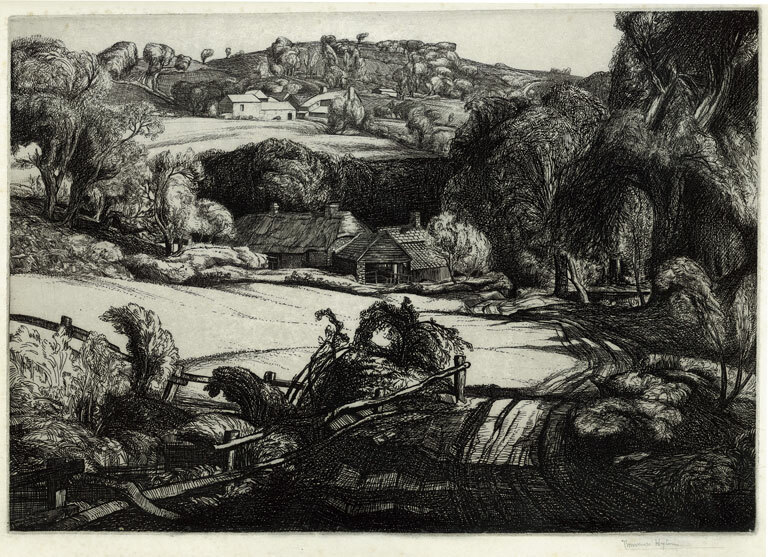 Edward Bouverie Hoyton was awarded the Prix de Rome in 1926. He went on to become a lecturer at Leeds College (1934), eventually becoming the Principal of the Penzance School of Art (1941-65). Unfortunately there is little information written on the work of Bouverie-Hoyton. I hope in the future that will be readdressed.